The IRS Form 1040 and 1040EZ are two of the three forms used to file an individual’s federal income tax returns. The third IRS tax form is the Form 1040A which is the shortest version of the more detailed Form 1040. The Internal Revenue Service (IRS), the tax collection agency of the United States federal government, provides taxpayers with three tax forms to file their annual income tax returns based on their tax breaks. Each of the form is designed to simplify your tax filing based on your tax breaks. Generally, the more complex the finances are the more tax forms to fill. Every individual fills out the 1040 forms to report his taxable income to the IRS annually. Long gone are the days of waiting for the IRS forms to come on your mail. With everything going digital, filing income tax returns is a breeze. This is one of the 1040 forms taxpayers fill out each year to report their taxable income to the IRS. Almost every individual can choose to fill a Form 1040, which is the standard federal income tax form US taxpayers can use to file their taxable income. It is the complex of all the IRS tax return forms and is more extensive than its 1040A and 1040EZ Forms. It’s also called as the “long form” because of its complexity; however, it provides individuals with most number of options offering many tax breaks. Individuals, who are self-employed, such as consultants or freelancers, can only file the federal tax Form 1040. Generally, taxpayers with more complex investments and other incomes to report can choose to fill the Form 1040. This form allows an individual to claim over a dozen above-the-line deductions directly on the form, thereby reducing the taxable income without the hassles. This is the shortest federal income tax form used by the taxpayers whose filing status is either “single” or “married filing jointly” with no dependents. This is the simplest IRS form which allows taxpayers with no complex incomes and investments an easy and fast way to file their income tax returns. Individuals must be under the age of 65 to be eligible to fill the Form 1040EZ. It is limited to taxpayers with no dependents to claim, with combined incomes less than $100,000 who take the standard deduction instead of itemized deductions. This form only works for an individual with simple and straightforward tax situation. However, it limits the number of options to save on your tax returns. This is basically designed for individuals who don’t make much money. With this form, taxpayers cannot claim any income adjustments such as student loan interest deductions, retirement contributions, etc. The Form 1040EZ is the shortest and the simplest IRS form that allows taxpayers with no complex incomes and investments to file their annual federal tax returns without much of the hassles but with certain limitations of course. The Form 1040, on the contrary, is the complex of the three IRS forms but with most number of options to file tax returns. Taxpayers who choose to fill Form 1040EZ cannot claim any deductions or credits with the exception of the Earned Income Tax Credit. Taxpayers with combined income less than $100,000 and no dependents to claim, can file the IRS tax return form 1040EZ for less complexity. On the other hand, taxpayers who are self-employed such as freelancers and consultants can only fill the Form 1040. Taxpayers with more complex investments and other sources of income can choose to fill the IRS tax return form 1040. According to IRS, an individual should only use the tax return form 1040EZ if he is filing either as “single” or “married filing jointly” and has claimed interest on income not more than $1,500 last year. The age of the individual (and spouse if filing jointly) should not be more than 65. On the other hand, individuals are required to use the IRS Form 1040 if they itemize deductions or claim certain tax credits or have additional income from a partnership or S corporation. A taxpayer cannot claim any credits or deductions with the Form 1040EZ, with the exception of the Earned Income Tax Credit. 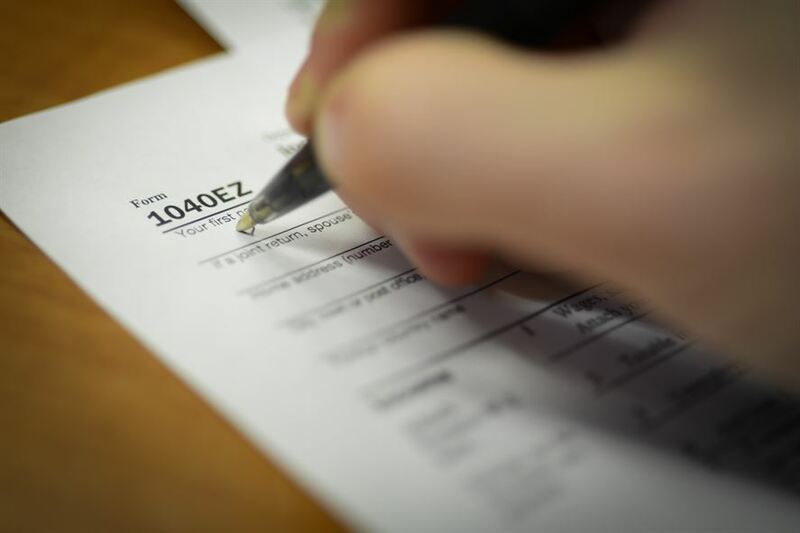 However, an individual’s tax situations become more complicated over years, which urge him to switch to the more sophisticated yet complex 1040 form. With the tax return form 1040, IRS allows taxpayers to claim specific deductions or adjustments without any harsh limitations. It’s by far the most customizable form in terms of tax breaks. Taxpayers can only use the form 1040EZ if their income only includes salaries, wages, and tips, and taxable interest must be less than $1,500. An individual cannot use the federal form 1040EZ if he intends to claim the additional standard deductions. These options are exclusive to the federal form 1040, which has literally no real restrictions. 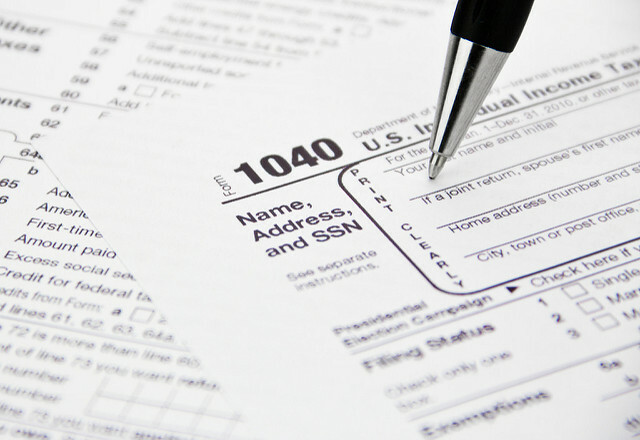 The IRS requires individuals to use the tax form 1040 if their taxable income is more than $100,000 and they can itemize deductions and do not suffer from the limitations of the form 1040EZ, which is the simplest of the three IRS tax return forms but lacks important tax credits or deductions. Though the form 1040 is the longest tax return form, it offers over a dozen above-the-line deductions allowing taxpayers to reduce their taxable income. Every individual can file the Form 1040EZ, but tax situations get complicated over years which would require a more sophisticated filing solution. This is where the more complex yet sophisticated Form 1040 comes to the picture. Sagar Khillar. 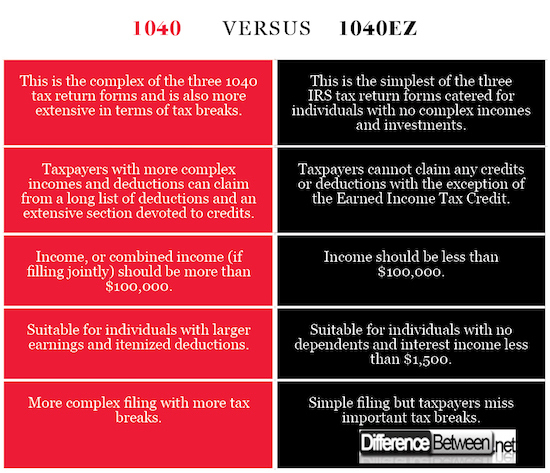 "Difference Between 1040 and 1040EZ." DifferenceBetween.net. March 20, 2018 < http://www.differencebetween.net/business/difference-between-1040-and-1040ez/ >.